P R O B L E M : Whether it’s grabbing a quick bite solo or sitting down with the family, mealtimes can be messy—so napkins are always a must. Wasteful paper towels aren’t the right answer and fine linens are a chore. S O L U T I O N : Norwex Napkins made from 50% recycled materials are the perfect solution for the whole family. 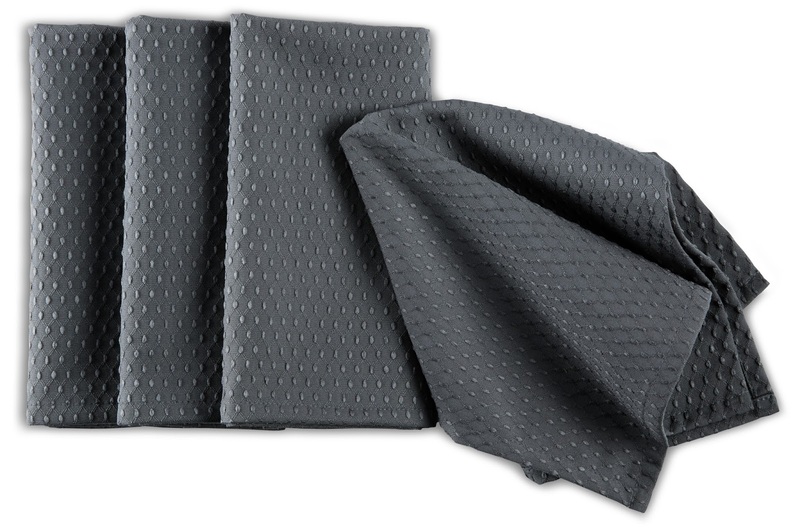 Ultra-convenient, these napkins come in our popular slate and peacock colors to complement any décor. 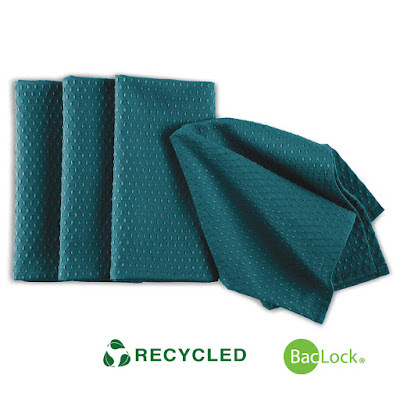 Best of all, the microfiber is made from recycled plastic bottles, so you’re also cleaning up the world each time you clean your plate! What’s ultra-convenient and helps you clean up the world every time you clean your plate? 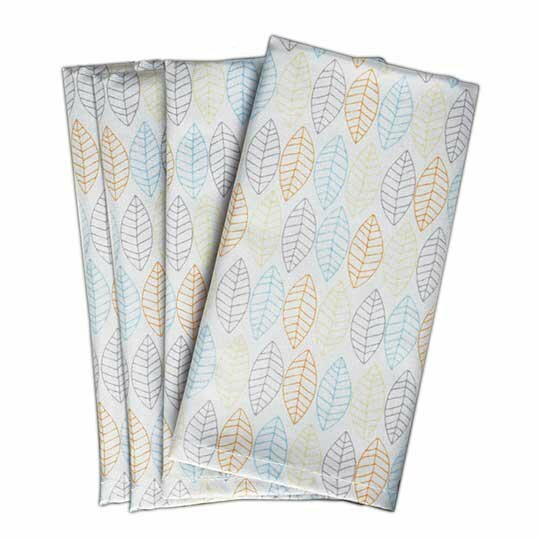 Our Norwex Napkins made from 50% recycled materials, of course! Each set is made from the equivalent of five recycled plastic bottles (500ml). And they have everything you love about our Norwex Microfiber, like our BacLock®* self-cleansing agent and those extra-fine fibers that absorb and hold spills and dribbles so much better than anything else. Plus they’re much more sustainable and affordable than paper towels or napkins. 43.2 cm x 31.8 cm / 17" x 12.5"
• Earth friendly—each Norwex Napkin made from 50% recycled materials is constructed of 1.25 500ml recycled plastic bottles.